It was our dream vacation! 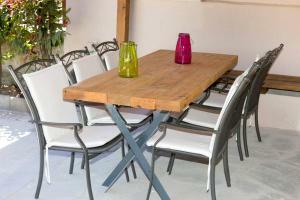 A great house decorated with a very good taste, fully equipped,verry clean and welcoming. The view (from all rooms) is breathtacking! The host is a very nice and warm person that is willing to offer the best for her guests. I would recomand Swell for families with/without children. We were 4 adults and 5 children and the house fits us perfectly. The villa is located up on a hill so it is recomanded to have a car in order to get to the beach or downtown. We've spent a magical week at Swell and for sure we'll come back! We have great time in the house ! In the house you can find everything you need ! Villa Swell has perfect view to the sea ! The host Mara is very kind and friendly person ! We certainly recommend this place house for vacation in pleasant company ! De la primirea facuta de gazda si pana la peisaj,totul excelent. zelo smo bili zadovoljni z namestitvijo in lokacijo. Lock in a great price for Swell – rated 9.8 by recent guests! Featuring barbecue facilities, Swell provides accommodations in Possidi with free WiFi and sea views. This self-catered vacation home features a garden. The vacation home has 3 bedrooms, a kitchen with a dining area and a dishwasher, and a bathroom. A flat-screen TV is offered. 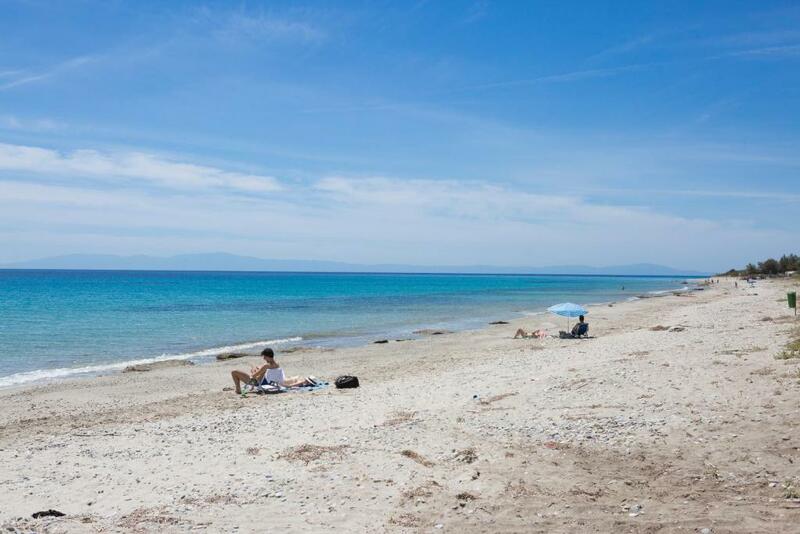 Sani Beach is 22 miles from Swell, while Afitos is 14 miles from the property. Thessaloniki Airport is 59 miles away. 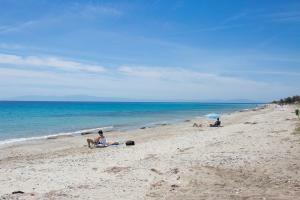 This property also has one of the top-rated locations in Possidi! Guests are happier about it compared to other properties in the area. 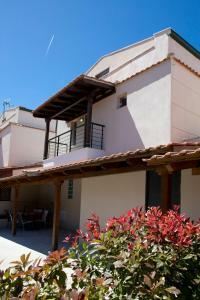 This property is also rated for the best value in Possidi! Guests are getting more for their money when compared to other properties in this city. When would you like to stay at Swell? 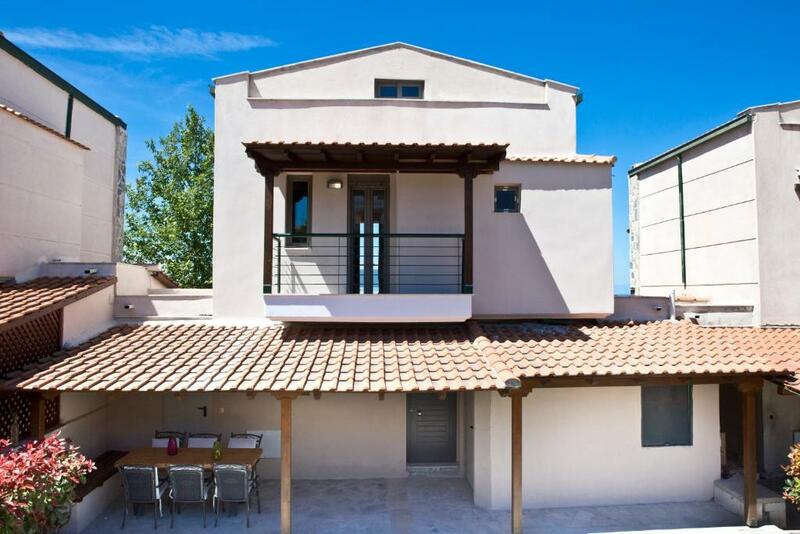 This villa has a balcony, garden view and tile/marble floor. 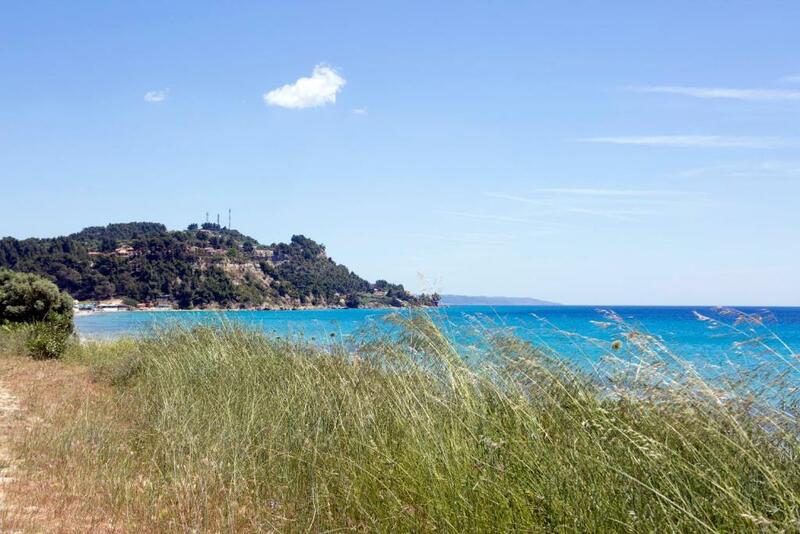 Nestled atop the hill overlooking Poseidi village in Chalkidiki, you can discover the Swell Villas. Offering a majestic panoramic vista of both beaches converging on the tiny natural peninsula of Miti, our house is the ideal choice for a unique vacational experience. 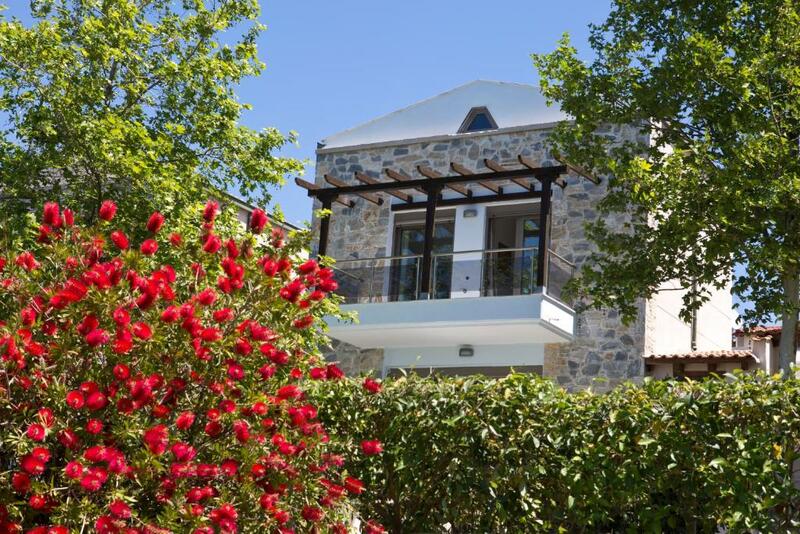 The house in itself is a brand new three story villa of 130 sqm, fully furnished and modernly decorated, spacious and sunny with charming outdoor surroundings. It is fully serviceable with all standard services (WiFi, Air Conditioning, Utensils, Linens, Towels etc). It has all kinds of electrical appliances, all brand new, with a separate washing room and a grand barbeque in the back yard. Automatic plant watering system and 4 exlusive parking spaces available. 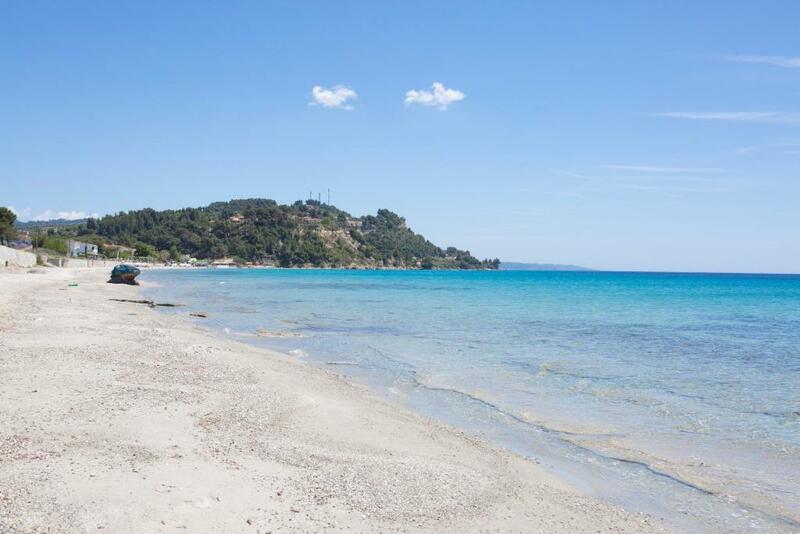 Both beaches are within walking distance of the house but we strongly recommend the use of car due to the inclined road. For the rest, taxi services are provided on call and a frequent bus service shuttles from/to Thessaloniki. 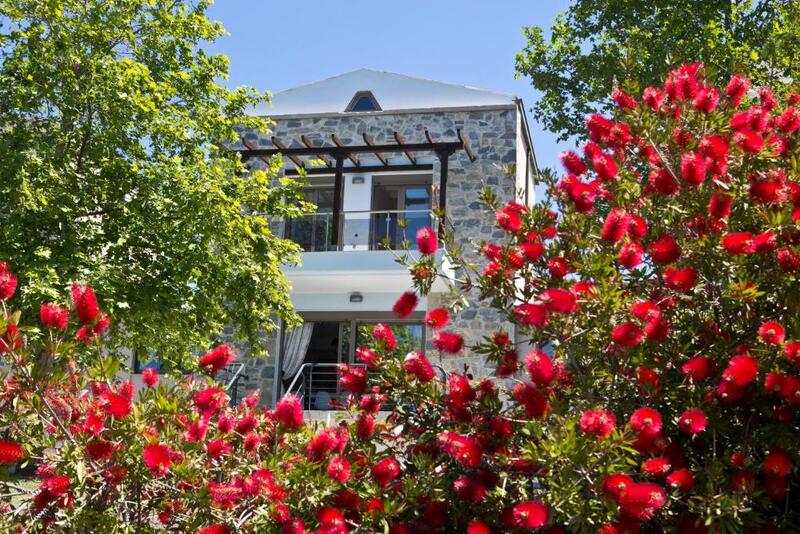 A warm welcome and a big smile from the house owner and hostess, Mara, will signal the start of your summer getaway! A contact number will be provided upon arrival where you can communicate in case of questions and emergencies. A veteran journalist and a scholar researcher, an avid reader and an occasional writer, an adventurous cooker and a considerate host, a seasoned traveler. I love the sea and the music, enjoy the folk dances and a good laugh with friends. I'm married to Nikos Tsiroghiannis and I'm mother of John Tsiroghiannis, our only son. The neighborhood is comprised of family houses whose owners are interesting and welcoming people. English is spoken by most if not all of them. Within walking distance is the colorfull village of Poseidi, a cherished vacational destination in Kassandra, Chalkidiki. Bristling with all kinds of summer activity, offers a wide range of services including traditional food lodgings and taverns as well as romantic bars right by the seaside, sea sports etc. Just 1km away is the old village of Kalandra, with its characteristic Macedonian architecture. On the road to Kalandra, you can find a fully stocked Pharmacy and several Super Markets. Approximately 9kms from Poseidi is the archaeological site of Siviri with the adjacent ancient theater that actually hosts performances all summer long. The capital of the municipality is Kassandreia which is situated 12kms from Poseidi, where you can find all Public Services and the Medical Center. You will be provided with a series of tourists guides and booklets in the house. House Rules Swell takes special requests – add in the next step! A EUR300 damage deposit is required 14 days before arrival (about USD336.07). This deposit will be fully refunded at check-out, as long as there isn't any damage to the property. Please inform Swell of your expected arrival time in advance. You can use the Special Requests box when booking, or contact the property directly using the contact details in your confirmation. A damage deposit of EUR 300 is required. The host charges this 14 days before arrival. That's about 336.07USD. This will be collected by bank transfer. You should be reimbursed on check-out. Your deposit will be refunded in full by bank transfer, subject to an inspection of the property.